We have established a world class infrastructure facility that is equipped with several machines and tool that help us with the proper manufacture and storage of all the products offers by us. Our magnificent workspace is managed by our efficient team that is well trained to follow all the existing industrial standards while manufacturing the proffered collection. Furthermore, we upgrade our infrastructure with advanced technology so that we are able to fulfill the changing requirements of our clients. Corporate Office: Our corporate office is located in Redhills. It is a nodal point for our all customers. Office fully equipped with modern gadgets and is fully computerized and working on ERP with define standard. Branch Office: Its located in Anna Nagar, Chennai with fully modernized gadgets. And also we are having Overseas branches in Indonesia, Myanmar, Vietnam, Canada, UAE, Sri lanka. Factory: We have 6 factories. 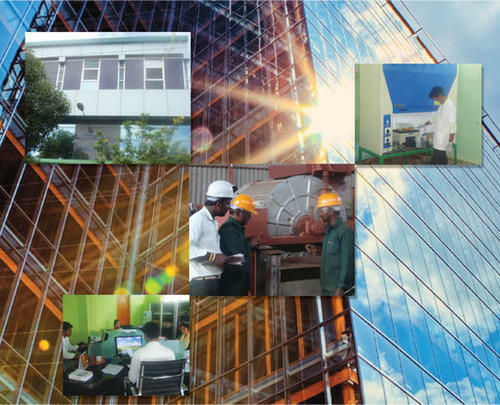 The Factory is equipped with latest equipments and technology source. The factory is well-organized with various departments like Production, quality assurance, maintenance, stores, commercial, management & personnel. Laboratory: We have Research & development facilities. Our R&D infrastructure comprises of large number of imported and indigenous equipment, handled by a highly qualified team.